One piece molded construction - no lid. 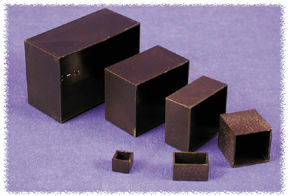 Designed for potting box applications. Molded from black general purpose ABS plastic. Temperature rated -20º to +94º C.
1.0 mm (0.04”) wall thickness.